This is the most obvious question that each and every app maker has in his mind. Apple App Store and Google Play are full of millions of apps, but only a few of them are able to make their mark. A decent number of downloads always bring happiness for any app developer, but still, customer retention remains the biggest concern. 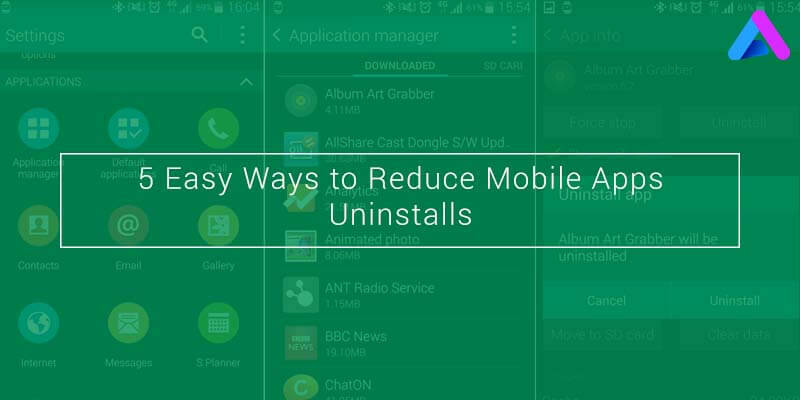 By a recent study, an app development and marketing company revealed that 76% of users uninstall the app while only 4% remain by the end of 12 months. This question can only be answered by addressing 5 pain areas that mobile users face with their mobile apps, which if resolved, can curb mobile app uninstalls A mobile application development company and app marketers should take utmost care to take care of the below mentioned things. Push notifications is the most used marketing tool by the app marketers. When a user installs an app, he agrees to receive push notifications. But that surely doesn’t mean that you get the right to disturb user all the time. Users should not be overloaded with unnecessary information all day long. Excessive push notifications is one of the very reasons why users abandon m-commerce apps. App makers should give their users, the option to choose the frequency, type and quiet time of push notifications on their mobiles. 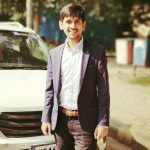 Most of the e-commerce apps make a user to go through a long and annoying task of filling details in order to complete the registration process. This tiresome and boring process would certainly drive the users away from you. A simple advice would be to “keep it simple, stupid”. Renowned e-commerce company Amazon’s app has a lot to learn from. It has made the registration process so simple that you have to just enter either your mobile number or your e-mail id. Just verify any one of them and you are done. There is nothing more frustrating than an app that freezes or crashes continually. Slow performance is one of the reasons for the abandonment of any app. A recent study found that about 75% of users give a second or third attempt to an app if it fails to work for the first time. The most astonishing thing is only 15% would go for more than two attempts while 50% of users agreed that they won’t use the app again. In order to make your app successful, you should perform a rigorous testing of your app and release it bug free. Always value customer reviews and feedbacks. Reply to the queries and try to fix the issues as early as possible. Apps are downloaded to make our lives easier and if operating an app itself becomes tiresome, a user would go elsewhere. You need to keep a few things in mind while designing an app like the design of your app should be pleasing to the eyes of users, the appearance should be easily understood, navigation should be really smooth. App stores have laid down guidelines related to UI and UX of mobile apps. You have to follow them and the rest would be a cakewalk for you. Often app makers prompt the users to use their social profiles to sign-up. Usually users don’t prefer this due to privacy concerns. It is true that at a point of time, social media was a perfect alternative for registration forms, but with identity theft on the rise, users are more reluctant to put their credentials. App developers should not force users to login through social plugins. Flipkart has set a classic example in this regards: it has provided an option to choose between Facebook or G+ account.This approach develops a trust factor among the users. There are many iphone app development services companies across the globe and Appinventiv technologies is one of the leading companies that provides the most enticing iphone application development services. we have the best iPhone and iPad app developers working with us and we are known to be the most reputed iPhone mobile application development and android app development company.